Our model-range is innovative, of high quality and durable. 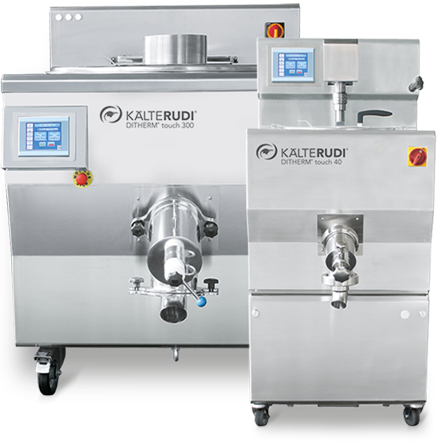 Since 1964, the world's first pasteurizer with rectangular vat for minimal space requirements and perfectly emulsified mixes. 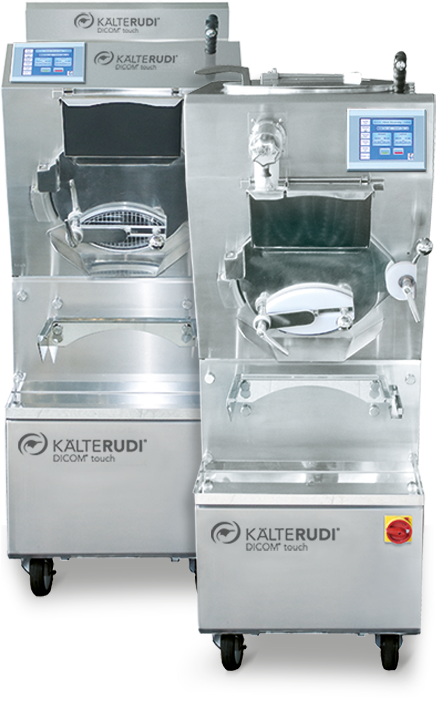 Easier and safer working because dry components processed automatically lump-free. Even cream can be pasteurized without qualitative changes in structure or taste. Fully automatic processes without vat transfer. 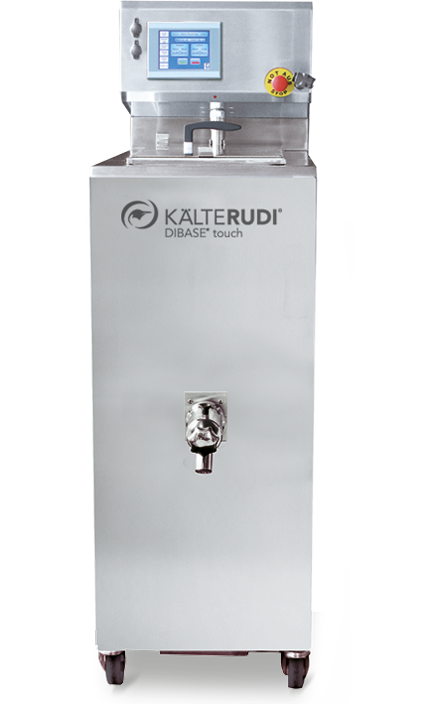 Hose holder (Pro-Tubi), prevents bending and supply lines on the floor. 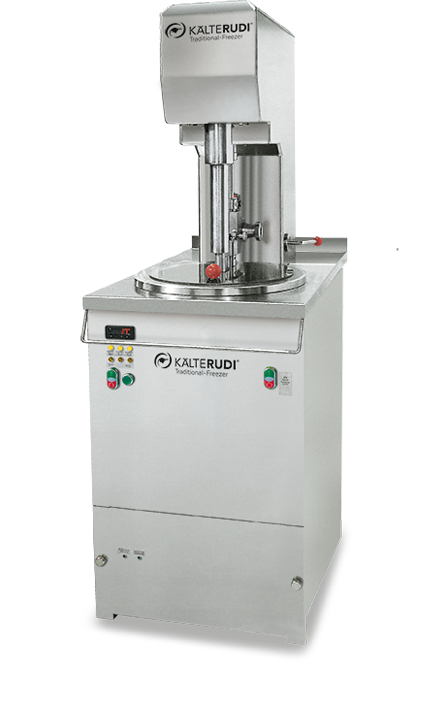 All DIBASE pasteurizer are available with legalization for raw milk processing. Plug-in cooking and recooling kettles 40 - 500 liters. Cooking, refine, chilling, stirring, whipping. Because traditions are our roots. Like almost every confectioner and ice-cream maker, our founder Rudi Rischewski learned the art of ice-cream making with a traditional machine. To this day, we are committed to this tradition and maintain it with our TraditionalFreezer®.